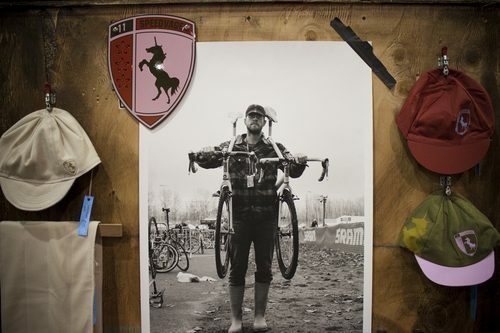 It’s no secret that Portland brews a mean cup of coffee and houses some of the United States’ most talented frame builders. Vanilla Bicycles is one of those companies. 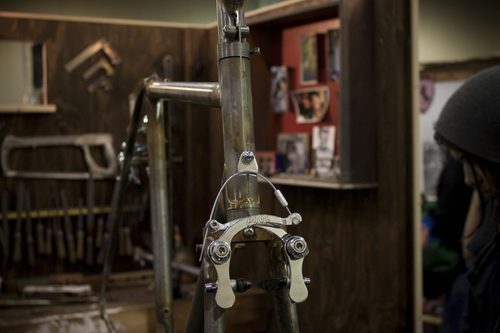 Sacha White began making bicycles in 1999 and over a decade later, Vanilla is one of the most recognizable names in the handmade bicycle world. 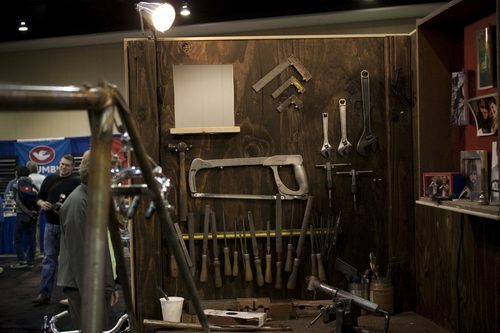 This year at the NAHBS, Vanilla displayed their true design intent through their bikes and their booth. 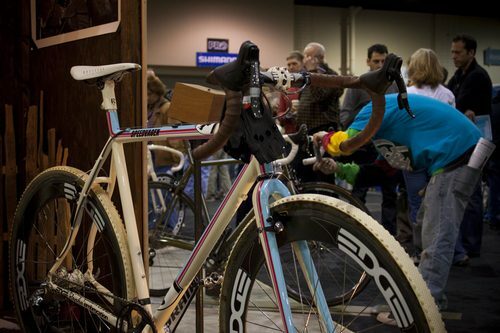 Below are some photos I took at the 2010 NAHBS. The Vanilla booth was best captured by a series of detailed photos. 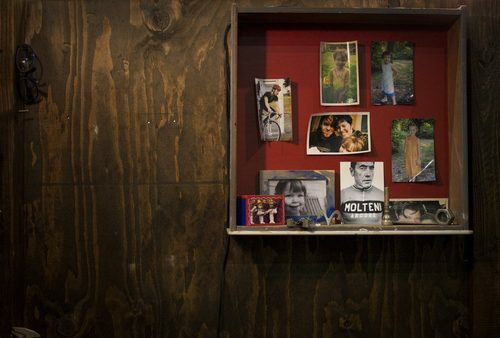 Each section of the booth was framed like a shadowbox; a diagram using found objects and photographs from the Vanilla Workshop. 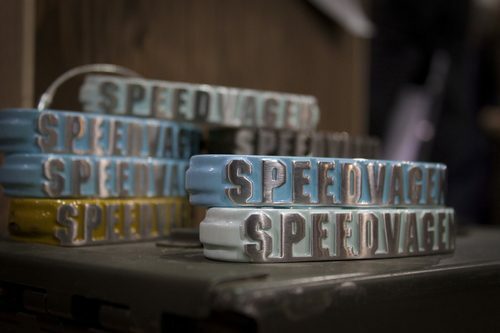 Various products were on display, including these Speedvagen brass knuckles. The mitochondrial-like cellular trackends of a Vanilla Speedvagen Track Machine. 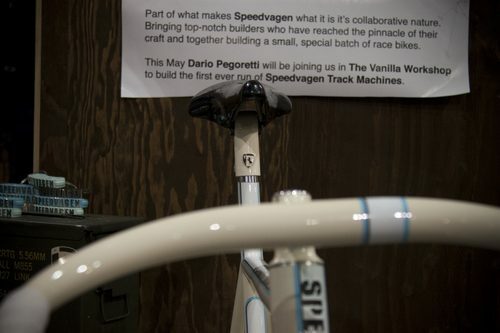 One of the many designs Vanilla offers are these Speedvagen CX bikes. 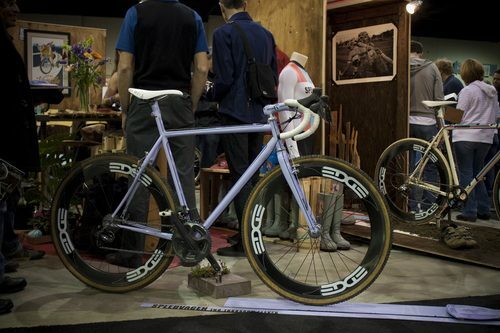 Here’s the other Speedvagen CX bike that was on display. Very classy. 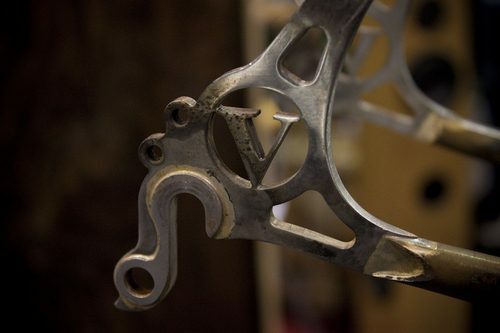 A detail shot of the Speedvagen Track Machine’s seatpost badge. 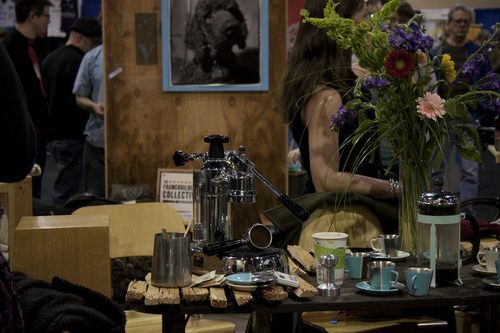 The free Stumptown French-press saved my mornings at the NAHBS. The best coffee in RVA for sure! The Speedvagen Crest mousepad and cycling caps. 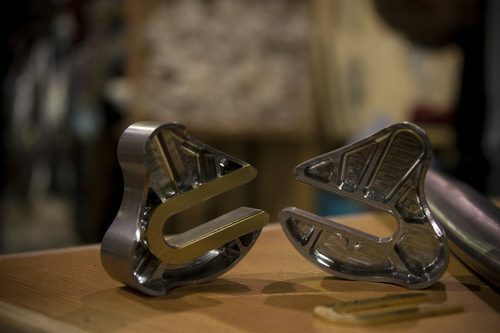 It seemed like every bike at the show was using Paul Components. This could be because they’re machined in the USA. The Vanilla Workshop tool wall. Another vignette showcasing inspirational photographs. 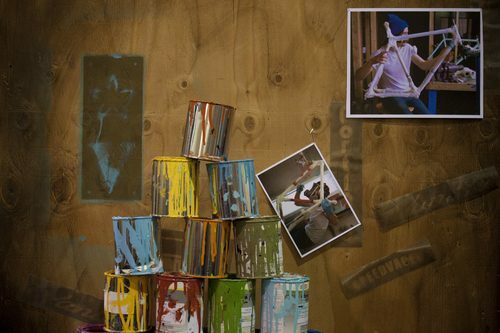 Vanilla also had a mock-up of their spray booth set up, complete with a masked-off frame, ready for paint. Somehow I doubt their booth is this rudimentary. If you were at the NAHBS, you can attest to how well-composed the Vanilla booth was and if you weren’t there, hopefully these photos can give you a sense of the space. 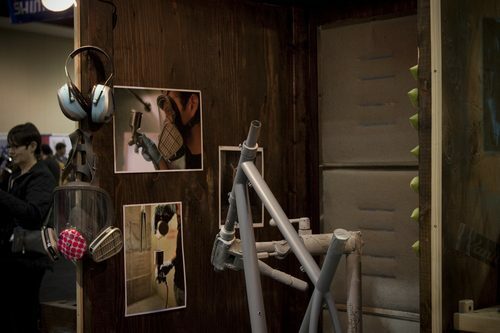 Like their bicycles, Vanilla pays close attention to the details of everything they do! These photos, along with a few more, are over at my Flickr, so check them out!